Private George Blair (Service no: 1914) was born in Leichardt but lived in North Kiama and attended the Superior Public School, Kiama. Before enlistment he worked as a horse driver. 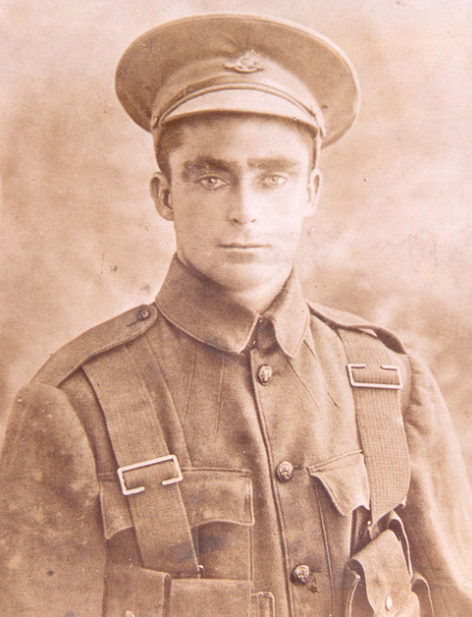 He embarked on HMAT A55 Kyarra on 13th April, 1915 with the 4th Battalion, 5th Reinforcements. "the Battalion was at Polygon Wood ... going into the line in preparation for action next day. Blair was a Lewis Machine Gunner and went up ahead of the rest of the Company. While doing so he was killed by a shell .... The Company passed him less than three hours afterwards and Informant saw he lying on the ground and it was quite evident that he had been instantly killed." He is remembered at Menin Gate Memorial, Ypres, Flanders, Belgium.